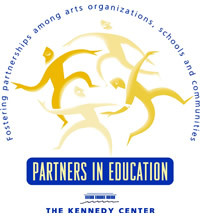 We are excited to invite you to participate in upcoming professional development opportunities with national teaching artists, offered through the Overture Center for the Arts and Madison Metropolitan School District as part of the Partners in Education program of the John F. Kennedy Center for the Performing Arts Washington, D.C. Information about the workshops is below. There is no cost for participating and you can register for one or multiple workshops. Please note that space is very limited so if you are interested, please register early. We will also have a waitlist. Certificates for each workshop will be awarded and eligible for PAC credit (for MMSD teachers). Please register via the registration form below and you will receive an automatic reply that your application was received. If you have any questions, please contact Alanna Medearis, amedearis@overture.org, 608-258-4148. Time Travel Through History with Theater shows teachers how they can use theatrical techniques to stimulate students’ imagination and promote deeper learning. The session covers the actor’s tools and concentrates on the theatrical concepts of character and dramatic conflict to help students forge a deeper connection with the past. Through individual work with “MadLibs for Characters,” group brainstorming, and working with “theater buddies,” participants will learn how to guide their students through the process of creating a scene and bringing history to life. This session uses Immigration to Wisconsin as our subject matter, but the techniques it covers can be adapted to cover any historical period or aspect of Social Studies. The workshop focuses on exploring cultural heritage, background, and personal history through movement. We will explore how to use the elements of dance and dramatic movement to examine our cultural backgrounds connecting with history and social studies. In this three-hour session the basic qualities of dance and movement, the concepts of rhythm and tempo, how to create dramatic movement combinations to bring to life your cultural heritage, i.e., where your families came from and where they settled in America, what kinds of work they did, their traditions and customs they brought with them, and a basic appreciation of different cultures. Participants will know the elements of dance, i.e., space, time energy, basic locomotor patterns and body moves, the meaning of rhythm and tempo. Participants will the structure of a movement vignette. They will be able to work collaboratively to explore their own cultural backgrounds and construct and demonstrate their movement vignette. Participants will have the opportunity to increase their awareness of the effectiveness of using the arts to understand history and culture. Popular music is known for being catchy, but it is also highly mathematical. Exploring the relationship between math and music reinforces foundational mathematical concepts. In this workshop, teachers will learn how to have students analyze mathematical patterns and unit fractions by listening to their favorite music and by creating original rhythms themselves. Educators will leave prepared to lead adaptable lessons during which students will hear and share their original rhythms as audio tracks. During this workshop teachers will make collaborative sculptures out of found and recyclable items. Utilizing a cumulative design process, teachers will learn visual art exercises that can build classroom community and give new perspectives about materials and objects in the classroom while promoting sustainability. Through this creative process teachers will find new ways to unlock visual arts standards and increase their students’ awareness of the importance of caring for our environment through “reducing”, “reusing” and “recycling”. In this workshop which is a follow up to Acting Together, Playing Together: Theater Skills for Empathy and Cooperation, teachers will dive deep into using character work to develop empathy and cooperation. Are you an MMSD employee?